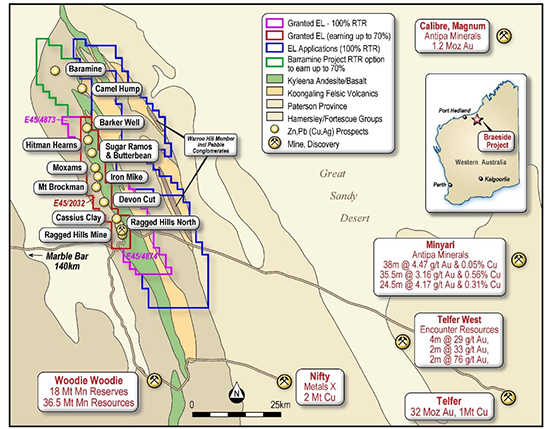 Rumble Resources Ltd (ASX:RTR) has announced details of its exploration activities at its high grade base metal Braeside Project in Western Australia. RTR has completed the first stage of pXRF soil sampling within E45/2032 and regional soil sampling in E45/4873. 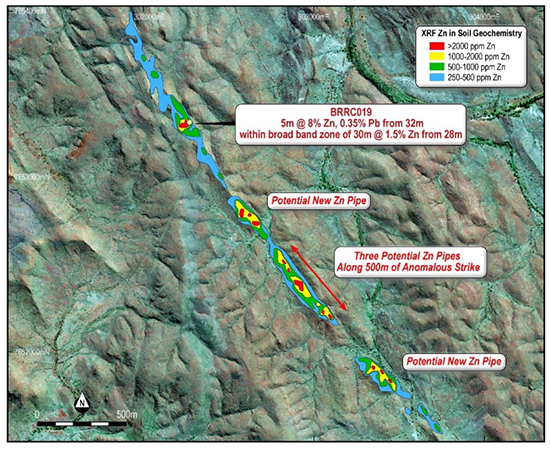 The exploration has highlighted a multitude of first order zinc (Zn) and lead (Pb) targets associated with large northwest to north trending alteration zones. 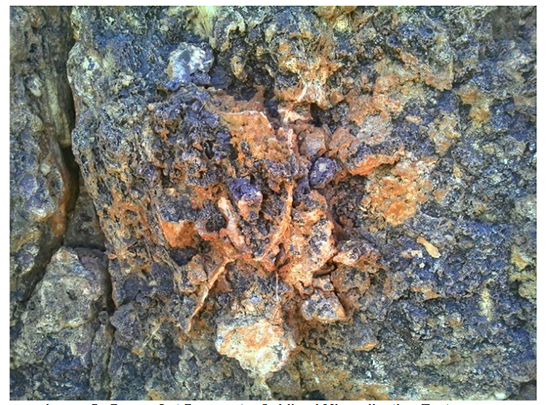 These are inferred to be feeder structures to a porphyry related mineralising system and Zn rich disseminated mineralisation in siltstone. Five new first order targets with the potential for high grade breccia Zn pipes have been outlined. 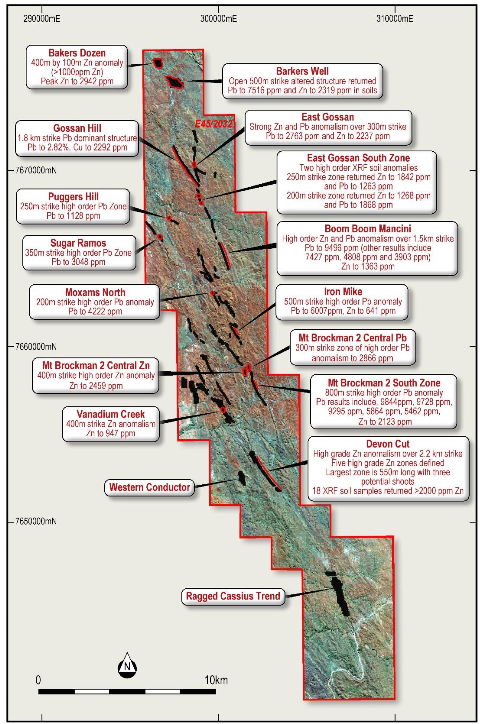 This is in addition to the new high-grade zinc discovery defined by a single RC drill hole at the Devon Cut Prospect. The new targets have a similar or higher order Zn response and size to the high-grade Zn discovery RC drill hole geochemical parameters. What comes of these targets remains to be seen, so investors should seek professional financial advice if considering this stock for their portfolio. 15 zones have now been delineated with 23 first order targets within E45/2032. At least two styles of base metal anomalism (representing targets) have been recognised. The Zn and Pb mineralisation is associated with multiple highly altered silica – sericite – chlorite fracture/feeder zones over significant strike lengths. Zones in addition to Devon Cut include Mt Brockman 2 South and Boom Boom Mancini. Widespread disseminated Zn mineralisation has been recorded in altered siltstones at Mt Brockman 2 Central Zn and Baker’s Dozen. The RTR field crew is currently completing detailed grab sampling and prospect mapping to optimise the proposed RC drill-hole program at all 23 first order drill targets. In the last two months, RTR has been systematically exploring using surface geochemistry to delineate high order targets ready for the upcoming RC drilling program. This follows the discovery of the Devon Cut high-grade Zn mineralisation with RC drilling in November last year. RTR is completing systematic targeting, with detailed prospecting of the defined targets ongoing. Work underway includes extensive multi-element grab/rock chip sampling and geological reconnaissance. 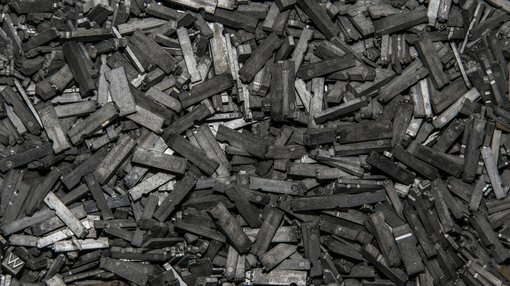 Results are pending for approximately 200 grab samples taken over the high order base metal targets. As exploration continues, numerous high priority targets are being generated. The company is optimising the best targets for the proposed RC drilling program. As a result of the many first order targets being identified, the RC drilling has been rescheduled for August 2018 to ensure RTR delineates the best targets.